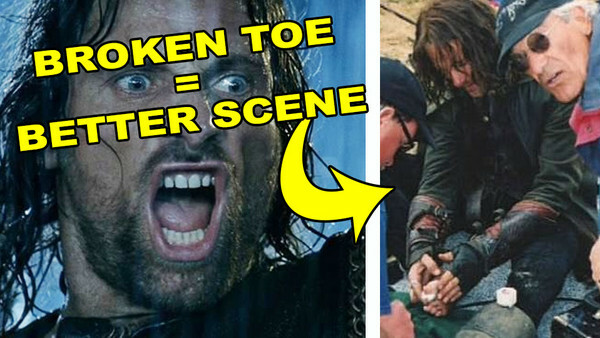 Aragorn's broken toe in Lord Of The Rings hurt so good! When hundreds of people get together to make a movie, mistakes happen all the time. Think about it a moment and you might easily recall some anachronistic item like a wristwatch on someone in a scene that took place in the 5th century or perhaps you saw the hydralic system on the underside of a chariot in Gladiator. These mistakes sometimes make it to screen, but only rarely do they happen in such a way as to improve a scene. No, the guy wasn't supposed to drop the most powerful item in the universe, but it sure was funny when he did it... ok, leave it in! 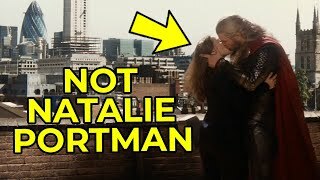 That's probably how these conversations go in the editing room when a flub by an actor or the mistaken addition of something that wasn't meant to be in the scene showed up in some footage and found its way into the final print of the film. When it happens, it's memorable and some of the most memorable moments in movie history were completely unscripted and accidental. These ten were the greatest of all time though many more have happened over the years. Shout out in the comments with your favorite and any missing from the list!